I don't always get feedback from buyers. As a seller and a buyer, I always make sure to leave feedback on Etsy the second I receive something or have had a chance to try it out, but some people only come to Etsy to buy - no avatar, no shop-like screen name, only a few ratings left by other people saying how good a customer they are. These buyers don't always think to leave feedback - and that's totally fine, sometimes it's best to see no feedback as a good thing. If they were disappointed or angry you'd certainly have heard something. But when you don't track your packages (I'd be charging about $13 for US shipping with tracking, otherwise) it's difficult to know if something has arrived. I spend a lot of time on the Etsy Success Team forum, and I see a lot of people worrying about items not turning up due to lack of communication on the buyer's part, but I always assure them that if the item hadn't arrived by that point, they probably would have said something. We seem to rely on feedback as a way of finding out if items have been received, as well as what they thought of them, but there are people, as I've said, who simply never think to leave it, or don't know they can. I hate to ask for feedback, and I hate it when people ask me in the package. I like ebayers, they offer great things for great prices, usually, but they almost always seem to ask for feedback - and not politely, either. Listings themselves will beg for 5-star feedback, and half of their business cards beg for the same, with several exclamation marks, and it gets boring. Etsy is not Ebay, so if you must ask for feedback, do it creatively. Perhaps you have your own unique way of dealing with it - perhaps you offer a discount code for people who leave feedback, or perhaps you simply don't mind not receiving it - successful sellers don't need it, that's for sure, but if you're just starting out, feedback is crucial. 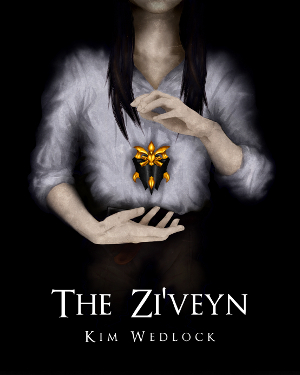 I've made almost 40 sales, but I still don't get feedback for each, and I'm still at a point where feedback matters. And I really wanted to use some Mini Moos. 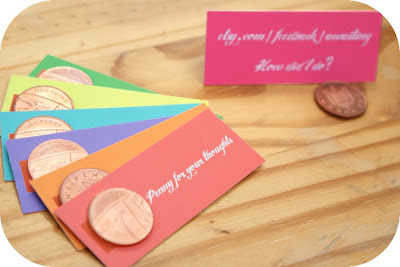 So I designed a card that says "Penny For Your Thoughts", added some bright colours, and added a URL that sends them either direct to the feedback screen, or to login, then feedback. Mini Moos are the right size for this (and they're cute), and along with the design, I clean up a good English penny, stick it down and send the card with each order. I just received my cards, and since I've not included any personal info on it, I wanted to share them with you! And the best part? Moo are currently allowing an order of 100 mini moo cards for free! All you pay is shipping, and it's open world-wide as far as I can see, so if you're in the UK, just change "us" to "uk" in the URL! So you can give it a go without breaking the bank! The only downside is that the Etsy logo will be on there, but the logo certainly doesn't mess with the design, and the penny will mostly cover it up, too! 1. Get your old coins. If they have dirty marks on them, the solution won't remove them, only the darkening of the copper. Put all of your nice shiny ones to one side, you'll only ruin them if you try to make them look even newer. 2. Now mix together some salt and vinegar (tomato sauce works just as well, so I used that since I have no vinegar) and blend it nicely. You want to soak the salt, so you'll want a little more sauce than salt. 3. Get a cotton wool bud and dip it in the sauce. You don't need much. I tried this another way, by soaking the coins in the sauce for a few minutes, but I ended up bleaching them rather than cleaning them, and from the coppery smell that came afterwards, I'd warrent that it might also be unsafe. So don't soak them in this mixture. 4. Rub the cotton wool bud over the coin. You'll start to see the colour lighten beneath it. Don't do this for too long or you'll regret it. 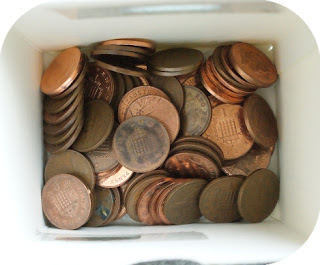 The edges of the coin might be more of a nuisance so consider blobbing a little mixture around the edges and then cleaning the inside before rubbing the outside away. This gives the solution a little more time to work into the grooves of more detailed parts. 5. Ta-da! Clean, shiny penny. Remember that this mixture will only clean the parts it touches, so make sure to do both sides, and the very outside edges. The mixture isn't runny so it won't run all over it, so you'll have to make sure you get all the bits yourself. Make sure you really wash it all off afterwards. If you leave it on then the pennies will either bleach or go green! Some sort of chemical reaction, I think. The worst of that can be scrubbed off but bits will stay and eat away at the sealant. Use these to your heart's content, but don't claim you made them. That's just rude. So you honestly don't mind if we do this too? This is an ingenious idea, I might even do a nickel for some people. This is a very clever idea. Thanks for sharing! awesome idea! apparently sending a convo requesting feedback is rude, from what i gather in the etsy forums, so this is a totally cute way to go about it! Awesome idea and great use of the moo mini cards! I've been searching and searching for a way to politely ask for feedback when customers make a purchase from my Etsy shop, EmbellishMePattyV. What a cute and professional way to ask. I just love this. So, it's ok if I go ahead and use this for my shop, too. Thanks for sharing. Here's a silly question...what is the web address to put on the card? How do you find out what the address is for them to post feedback? There are no shop- or user-specific links to the feedback form. I've tested this on several accounts and they all work. The link sends the user if logged in) straight to the feedback awaiting page. If they're not logged in, it will prompt them to do so, and then redirect them back to the feedback page. Thank you so much, Kim! I have looked everywhere for this info and you're the only game in town. You should feel very accomplished! Thank you so much!!!! I'm totally doing this.